Tell us about your situation so we can get you our top AS-IS cash purchase price. There is no obligation or cost. No commissions, No fees, No inspections and No buyers coming through your home weekly. We Buy Houses in Austin and across the Austin Metro Area Fast! Sell your home today and skip the hassle of repairs, showings and months of uncertainty. Selling an Austin Texas house can be stressful. From getting your home ready for strangers to walk through, the constant uncertainty of whether your home will sell and actually close. 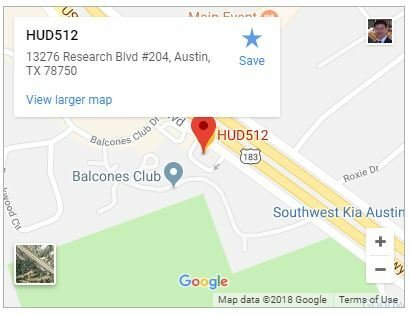 HUD512 Austin House Buyers is here to take that stress away, make it a fast and fair experience, and to give you the peace of mind you’re looking for but can’t fully enjoy until that pesky house payment is off your back. Sell Your House Without All The Hassles. We’ll Close On Your Timeline! HUD512 – Austin House Buyers is Austin’s most respected house buying service. Our professional, experienced home buying team has been built with years of experience in helping area homeowners just like you sell fast, with no hassle, no games, no fees, and integrity from start to finish. We buy houses in Texas and throughout the surrounding areas. Our home buying team can help you sell your house fast no matter your situation or your house’s condition. We are investors that pay cash. Once we make you an offer you can take that offer, shop it around if you want, talk it over with others, and think about it if you want. We won’t pressure you one bit. We are respected and trusted Austin home buyers. We buy houses all over Austin, Round Rock, Hutto, Pflugerville, Leander, Manor, Buda, Kyle, Bastrop, Cedar Park, Liberty Hill, Dripping Springs, Elgin and across the Central Texas area. TRUSTWORTHY – We are Austin’s number one cash homebuyer because we treat our clients with integrity and respect. WE’RE LOCAL – As residents of Austin, Texas we understand the market and want to improve our local community one house at a time. Stop wasting time and money trying to sell your home the traditional way. Fill out the form below or call us right now at 512-994-4483 to get a fair “AS IS” cash offer on your home. The more information you can provide us, the faster we can make you an offer. We will call you to discuss your situation and ask you questions about your house. Fill out the quick form below or call us at 512-994-4483 to get an offer on your house TODAY!